This article is about the general field called "engineering". For the design and building of actual engines, see Engine. For other uses, see Engineering (disambiguation). Engineering is the application of knowledge in the form of science, mathematics, and empirical evidence, to the innovation, design, construction, operation and maintenance of structures, machines, materials, software, devices, systems, processes, and organizations. The discipline of engineering encompasses a broad range of more specialized fields of engineering, each with a more specific emphasis on particular areas of applied mathematics, applied science, and types of application. See glossary of engineering. 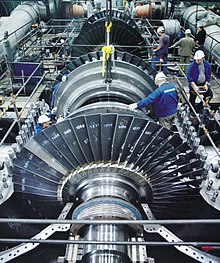 Engineering has existed since ancient times, when humans devised inventions such as the wedge, lever, wheel and pulley. The term engineering is derived from the word engineer, which itself dates back to 1390 when an engine'er (literally, one who builds or operates a siege engine) referred to "a constructor of military engines." In this context, now obsolete, an "engine" referred to a military machine, i.e., a mechanical contraption used in war (for example, a catapult). Notable examples of the obsolete usage which have survived to the present day are military engineering corps, e.g., the U.S. Army Corps of Engineers. The word "engine" itself is of even older origin, ultimately deriving from the Latin ingenium (c. 1250), meaning "innate quality, especially mental power, hence a clever invention." Later, as the design of civilian structures, such as bridges and buildings, matured as a technical discipline, the term civil engineering entered the lexicon as a way to distinguish between those specializing in the construction of such non-military projects and those involved in the discipline of military engineering. The pyramids in Egypt, the Acropolis and the Parthenon in Greece, the Roman aqueducts, Via Appia and the Colosseum, Teotihuacán, the Brihadeeswarar Temple of Thanjavur, among many others, stand as a testament to the ingenuity and skill of ancient civil and military engineers. Other monuments, no longer standing, such as the Hanging Gardens of Babylon, and the Pharos of Alexandria were important engineering achievements of their time and were considered among the Seven Wonders of the Ancient World. The earliest civil engineer known by name is Imhotep. As one of the officials of the Pharaoh, Djosèr, he probably designed and supervised the construction of the Pyramid of Djoser (the Step Pyramid) at Saqqara in Egypt around 2630–2611 BC.Ancient Greece developed machines in both civilian and military domains. 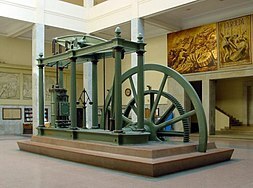 The Antikythera mechanism, the first known mechanical computer, and the mechanical inventions of Archimedes are examples of early mechanical engineering. Some of Archimedes' inventions as well as the Antikythera mechanism required sophisticated knowledge of differential gearing or epicyclic gearing, two key principles in machine theory that helped design the gear trains of the Industrial Revolution, and are still widely used today in diverse fields such as robotics and automotive engineering. Ancient Chinese, Greek, Roman and Hungarian armies employed military machines and inventions such as artillery which was developed by the Greeks around the 4th century BC, the trireme, the ballista and the catapult. In the Middle Ages, the trebuchet was developed. 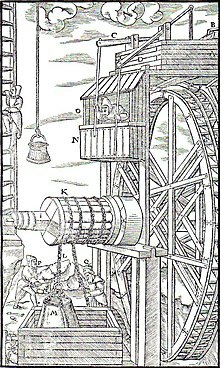 A standard reference for the state of mechanical arts during the Renaissance is given in the mining engineering treatise De re metallica (1556), which also contains sections on geology, mining and chemistry. De re metallica was the standard chemistry reference for the next 180 years. The science of classical mechanics, sometimes called Newtonian mechanics, formed the scientific basis of much of modern engineering. With the rise of engineering as a profession in the 18th century, the term became more narrowly applied to fields in which mathematics and science were applied to these ends. Similarly, in addition to military and civil engineering, the fields then known as the mechanic arts became incorporated into engineering. Canal building was an important engineering work during the early phases of the Industrial Revolution. John Smeaton was the first self-proclaimed civil engineer and is often regarded as the "father" of civil engineering. He was an English civil engineer responsible for the design of bridges, canals, harbours, and lighthouses. He was also a capable mechanical engineer and an eminent physicist. Using a model water wheel, Smeaton conducted experiments for seven years, determining ways to increase efficiency. :127 Smeaton introduced iron axles and gears to water wheels. :69 Smeaton also made mechanical improvements to the Newcomen steam engine. Smeaton designed the third Eddystone Lighthouse (1755–59) where he pioneered the use of 'hydraulic lime' (a form of mortar which will set under water) and developed a technique involving dovetailed blocks of granite in the building of the lighthouse. He is important in the history, rediscovery of, and development of modern cement, because he identified the compositional requirements needed to obtain "hydraulicity" in lime; work which led ultimately to the invention of Portland cement. The application of steam powered cast iron blowing cylinders for providing pressurized air for blast furnaces lead to a large increase in iron production in the late 18th century. The higher furnace temperatures made possible with steam powered blast allowed for the use of more lime in blast furnaces, which enabled the transition from charcoal to coke. 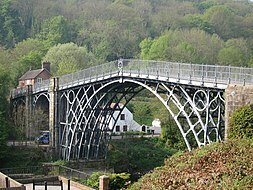 These innovations lowered the cost of iron, making horse railways and iron bridges practical. The puddling process, patented by Henry Cort in 1784 produced large scale quantities of wrought iron. Hot blast, patented by James Beaumont Neilson in 1828, greatly lowered the amount of fuel needed to smelt iron. With the development of the high pressure steam engine, the power to weight ratio of steam engines made practical steamboats and locomotives possible. New steel making processes, such as the Bessemer process and the open hearth furnace, ushered in an area of heavy engineering in the late 19th century. One of the most famous engineers of the mid 19th century was Isambard Kingdom Brunel, who built railroads, dockyards and steamships. The Industrial Revolution created a demand for machinery with metal parts, which led to the development of several machine tools. Boring cast iron cylinders with precision was not possible until John Wilkinson invented his boring machine, which is considered the first machine tool. Other machine tools included the screw cutting lathe, milling machine, turret lathe and the metal planer. Precision machining techniques were developed in the first half of the 19th century. These included the use of gigs to guide the machining tool over the work and fixtures to hold the work in the proper position. Machine tools and machining techniques capable of producing interchangeable parts lead to large scale factory production by the late 19th century. The United States census of 1850 listed the occupation of "engineer" for the first time with a count of 2,000. There were fewer than 50 engineering graduates in the U.S. before 1865. In 1870 there were a dozen U.S. mechanical engineering graduates, with that number increasing to 43 per year in 1875. In 1890, there were 6,000 engineers in civil, mining, mechanical and electrical. There was no chair of applied mechanism and applied mechanics at Cambridge until 1875, and no chair of engineering at Oxford until 1907. Germany established technical universities earlier. The foundations of electrical engineering in the 1800s included the experiments of Alessandro Volta, Michael Faraday, Georg Ohm and others and the invention of the electric telegraph in 1816 and the electric motor in 1872. The theoretical work of James Maxwell (see: Maxwell's equations) and Heinrich Hertz in the late 19th century gave rise to the field of electronics. The later inventions of the vacuum tube and the transistor further accelerated the development of electronics to such an extent that electrical and electronics engineers currently outnumber their colleagues of any other engineering specialty.Chemical engineering developed in the late nineteenth century. Industrial scale manufacturing demanded new materials and new processes and by 1880 the need for large scale production of chemicals was such that a new industry was created, dedicated to the development and large scale manufacturing of chemicals in new industrial plants. The role of the chemical engineer was the design of these chemical plants and processes. Aeronautical engineering deals with aircraft design process design while aerospace engineering is a more modern term that expands the reach of the discipline by including spacecraft design. Its origins can be traced back to the aviation pioneers around the start of the 20th century although the work of Sir George Cayley has recently been dated as being from the last decade of the 18th century. Early knowledge of aeronautical engineering was largely empirical with some concepts and skills imported from other branches of engineering. The first PhD in engineering (technically, applied science and engineering) awarded in the United States went to Josiah Willard Gibbs at Yale University in 1863; it was also the second PhD awarded in science in the U.S.
Only a decade after the successful flights by the Wright brothers, there was extensive development of aeronautical engineering through development of military aircraft that were used in World War I. Meanwhile, research to provide fundamental background science continued by combining theoretical physics with experiments. For a topical guide to this subject, see Outline of engineering. Engineering is a broad discipline which is often broken down into several sub-disciplines. Although an engineer will usually be trained in a specific discipline, he or she may become multi-disciplined through experience. Engineering is often characterized as having four main branches: chemical engineering, civil engineering, electrical engineering, and mechanical engineering. Chemical engineering is the application of physics, chemistry, biology, and engineering principles in order to carry out chemical processes on a commercial scale, such as the manufacture of commodity chemicals, specialty chemicals, petroleum refining, microfabrication, fermentation, and biomolecule production. Civil engineering is the design and construction of public and private works, such as infrastructure (airports, roads, railways, water supply, and treatment etc. ), bridges, tunnels, dams, and buildings. Civil engineering is traditionally broken into a number of sub-disciplines, including structural engineering, environmental engineering, and surveying. It is traditionally considered to be separate from military engineering. Electrical engineering is the design, study, and manufacture of various electrical and electronic systems, such as Broadcast engineering, electrical circuits, generators, motors, electromagnetic/electromechanical devices, electronic devices, electronic circuits, optical fibers, optoelectronic devices, computer systems, telecommunications, instrumentation, controls, and electronics. Interdisciplinary engineering draws from more than one of the principle branches of the practice. Historically, naval engineering and mining engineering were major branches. Other engineering fields are manufacturing engineering, acoustical engineering, corrosion engineering, instrumentation and control, aerospace, automotive, computer, electronic, information engineering, petroleum, environmental, systems, audio, software, architectural, agricultural, biosystems, biomedical, geological, textile, industrial, materials, and nuclear engineering. These and other branches of engineering are represented in the 36 licensed member institutions of the UK Engineering Council. New specialties sometimes combine with the traditional fields and form new branches – for example, Earth systems engineering and management involves a wide range of subject areas including engineering studies, environmental science, engineering ethics and philosophy of engineering. One who practices engineering is called an engineer, and those licensed to do so may have more formal designations such as Professional Engineer, Chartered Engineer, Incorporated Engineer, Ingenieur, European Engineer, or Designated Engineering Representative. In the engineering design process, engineers apply mathematics and sciences such as physics to find novel solutions to problems or to improve existing solutions. More than ever, engineers are now required to have a proficient knowledge of relevant sciences for their design projects. As a result, many engineers continue to learn new material throughout their career. If multiple solutions exist, engineers weigh each design choice based on their merit and choose the solution that best matches the requirements. The crucial and unique task of the engineer is to identify, understand, and interpret the constraints on a design in order to yield a successful result. It is generally insufficient to build a technically successful product, rather, it must also meet further requirements. Constraints may include available resources, physical, imaginative or technical limitations, flexibility for future modifications and additions, and other factors, such as requirements for cost, safety, marketability, productivity, and serviceability. By understanding the constraints, engineers derive specifications for the limits within which a viable object or system may be produced and operated. A general methodology and epistemology of engineering can be inferred from the historical case studies and comments provided by Walter Vincenti. Though Vincenti's case studies are from the domain of aeronautical engineering, his conclusions can be transferred into many other branches of engineering, too. According to Billy Vaughn Koen, the "engineering method is the use of heuristics to cause the best change in a poorly understood situation within the available resources." Koen argues that the definition of what makes one an engineer should not be based on what she produces, but rather how she goes about it. Engineers use their knowledge of science, mathematics, logic, economics, and appropriate experience or tacit knowledge to find suitable solutions to a problem. Creating an appropriate mathematical model of a problem often allows them to analyze it (sometimes definitively), and to test potential solutions. Usually, multiple reasonable solutions exist, so engineers must evaluate the different design choices on their merits and choose the solution that best meets their requirements. Genrich Altshuller, after gathering statistics on a large number of patents, suggested that compromises are at the heart of "low-level" engineering designs, while at a higher level the best design is one which eliminates the core contradiction causing the problem. Engineers take on the responsibility of producing designs that will perform as well as expected and will not cause unintended harm to the public at large. Engineers typically include a factor of safety in their designs to reduce the risk of unexpected failure. However, the greater the safety factor, the less efficient the design may be. The study of failed products is known as forensic engineering and can help the product designer in evaluating his or her design in the light of real conditions. The discipline is of greatest value after disasters, such as bridge collapses, when careful analysis is needed to establish the cause or causes of the failure. As with all modern scientific and technological endeavors, computers and software play an increasingly important role. As well as the typical business application software there are a number of computer aided applications (computer-aided technologies) specifically for engineering. Computers can be used to generate models of fundamental physical processes, which can be solved using numerical methods. One of the most widely used design tools in the profession is computer-aided design (CAD) software. It enables engineers to create 3D models, 2D drawings, and schematics of their designs. CAD together with digital mockup (DMU) and CAE software such as finite element method analysis or analytic element method allows engineers to create models of designs that can be analyzed without having to make expensive and time-consuming physical prototypes. There are also many tools to support specific engineering tasks such as computer-aided manufacturing (CAM) software to generate CNC machining instructions; manufacturing process management software for production engineering; EDA for printed circuit board (PCB) and circuit schematics for electronic engineers; MRO applications for maintenance management; and Architecture, engineering and construction (AEC) software for civil engineering. The engineering profession engages in a wide range of activities, from large collaboration at the societal level, and also smaller individual projects. Almost all engineering projects are obligated to some sort of financing agency: a company, a set of investors, or a government. The few types of engineering that are minimally constrained by such issues are pro bono engineering and open-design engineering. 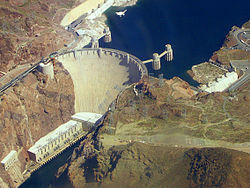 By its very nature engineering has interconnections with society, culture and human behavior. 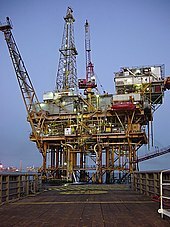 Every product or construction used by modern society is influenced by engineering. The results of engineering activity influence changes to the environment, society and economies, and its application brings with it a responsibility and public safety. Engineering projects can be subject to controversy. Examples from different engineering disciplines include the development of nuclear weapons, the Three Gorges Dam, the design and use of sport utility vehicles and the extraction of oil. In response, some western engineering companies have enacted serious corporate and social responsibility policies. Engineering is a key driver of innovation and human development. Sub-Saharan Africa, in particular, has a very small engineering capacity which results in many African nations being unable to develop crucial infrastructure without outside aid. The attainment of many of the Millennium Development Goals requires the achievement of sufficient engineering capacity to develop infrastructure and sustainable technological development. Engineering companies in many established economies are facing significant challenges with regard to the number of professional engineers being trained, compared with the number retiring. This problem is very prominent in the UK where engineering has a poor image and low status. There are many negative economic and political issues that this can cause, as well as ethical issues. It is widely agreed that the engineering profession faces an "image crisis", rather than it being fundamentally an unattractive career. Much work is needed to avoid huge problems in the UK and other western economies. In Canada, many engineers wear the Iron Ring as a symbol and reminder of the obligations and ethics associated with their profession. There exists an overlap between the sciences and engineering practice; in engineering, one applies science. Both areas of endeavor rely on accurate observation of materials and phenomena. Both use mathematics and classification criteria to analyze and communicate observations. 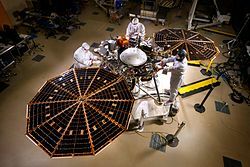 Scientists may also have to complete engineering tasks, such as designing experimental apparatus or building prototypes. Conversely, in the process of developing technology engineers sometimes find themselves exploring new phenomena, thus becoming, for the moment, scientists or more precisely "engineering scientists". In the book What Engineers Know and How They Know It, Walter Vincenti asserts that engineering research has a character different from that of scientific research. First, it often deals with areas in which the basic physics or chemistry are well understood, but the problems themselves are too complex to solve in an exact manner. There is a "real and important" difference between engineering and physics as similar to any science field has to do with technology. Physics is an exploratory science that seeks knowledge of principles while engineering uses knowledge for practical applications of principles. The former equates an understanding into a mathematical principle while the latter measures variables involved and creates technology. For technology, physics is an auxiliary and in a way technology is considered as applied physics. Though physics and engineering are interrelated, it does not mean that a physicist is trained to do an engineer's job. A physicist would typically require additional and relevant training. Physicists and engineers engage in different lines of work. But PhD physicists who specialize in sectors of engineering physics and applied physics are titled as Technology officer, R&D Engineers and System Engineers. 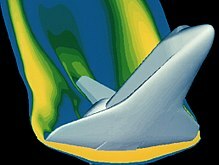 An example of this is the use of numerical approximations to the Navier–Stokes equations to describe aerodynamic flow over an aircraft, or the use of Miner's rule to calculate fatigue damage. Second, engineering research employs many semi-empirical methods that are foreign to pure scientific research, one example being the method of parameter variation. 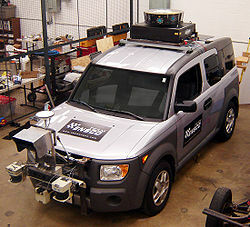 Although engineering solutions make use of scientific principles, engineers must also take into account safety, efficiency, economy, reliability, and constructability or ease of fabrication as well as the environment, ethical and legal considerations such as patent infringement or liability in the case of failure of the solution. The study of the human body, albeit from different directions and for different purposes, is an important common link between medicine and some engineering disciplines. Medicine aims to sustain, repair, enhance and even replace functions of the human body, if necessary, through the use of technology. Modern medicine can replace several of the body's functions through the use of artificial organs and can significantly alter the function of the human body through artificial devices such as, for example, brain implants and pacemakers. The fields of bionics and medical bionics are dedicated to the study of synthetic implants pertaining to natural systems. Conversely, some engineering disciplines view the human body as a biological machine worth studying and are dedicated to emulating many of its functions by replacing biology with technology. This has led to fields such as artificial intelligence, neural networks, fuzzy logic, and robotics. There are also substantial interdisciplinary interactions between engineering and medicine. Both fields provide solutions to real world problems. This often requires moving forward before phenomena are completely understood in a more rigorous scientific sense and therefore experimentation and empirical knowledge is an integral part of both. Medicine, in part, studies the function of the human body. The human body, as a biological machine, has many functions that can be modeled using engineering methods. The heart for example functions much like a pump, the skeleton is like a linked structure with levers, the brain produces electrical signals etc. These similarities as well as the increasing importance and application of engineering principles in medicine, led to the development of the field of biomedical engineering that uses concepts developed in both disciplines. 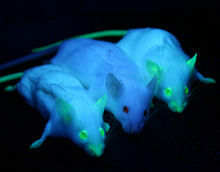 Newly emerging branches of science, such as systems biology, are adapting analytical tools traditionally used for engineering, such as systems modeling and computational analysis, to the description of biological systems. There are connections between engineering and art, for example, architecture, landscape architecture and industrial design (even to the extent that these disciplines may sometimes be included in a university's Faculty of Engineering). 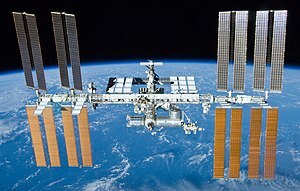 The Art Institute of Chicago, for instance, held an exhibition about the art of NASA's aerospace design. Robert Maillart's bridge design is perceived by some to have been deliberately artistic. At the University of South Florida, an engineering professor, through a grant with the National Science Foundation, has developed a course that connects art and engineering. 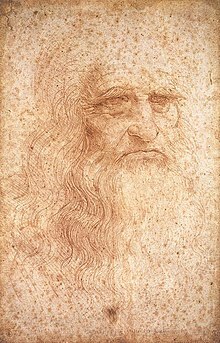 Among famous historical figures, Leonardo da Vinci is a well-known Renaissance artist and engineer, and a prime example of the nexus between art and engineering. Business Engineering deals with the relationship between professional engineering, IT systems, business administration and change management. Engineering management or "Management engineering" is a specialized field of management concerned with engineering practice or the engineering industry sector. The demand for management-focused engineers (or from the opposite perspective, managers with an understanding of engineering), has resulted in the development of specialized engineering management degrees that develop the knowledge and skills needed for these roles. During an engineering management course, students will develop industrial engineering skills, knowledge, and expertise, alongside knowledge of business administration, management techniques, and strategic thinking. Engineers specializing in change management must have in-depth knowledge of the application of industrial and organizational psychology principles and methods. Professional engineers often train as certified management consultants in the very specialized field of management consulting applied to engineering practice or the engineering sector. This work often deals with large scale complex business transformation or Business process management initiatives in aerospace and defence, automotive, oil and gas, machinery, pharmaceutical, food and beverage, electrical & electronics, power distribution & generation, utilities and transportation systems. This combination of technical engineering practice, management consulting practice, industry sector knowledge, and change management expertise enables professional engineers who are also qualified as management consultants to lead major business transformation initiatives. These initiatives are typically sponsored by C-level executives. In political science, the term engineering has been borrowed for the study of the subjects of social engineering and political engineering, which deal with forming political and social structures using engineering methodology coupled with political science principles. Financial engineering has similarly borrowed the term. ^ "About IAENG". iaeng.org. International Association of Engineers. Retrieved 17 December 2016. ^ Kemp, Barry J. (May 7, 2007). Ancient Egypt: Anatomy of a Civilisation. Routledge. p. 159. ISBN 9781134563883. ^ "The Antikythera Mechanism Research Project", The Antikythera Mechanism Research Project. Retrieved 2007-07-01 Quote: "The Antikythera Mechanism is now understood to be dedicated to astronomical phenomena and operates as a complex mechanical "computer" which tracks the cycles of the Solar System." ^ Wilford, John (July 31, 2008). "Discovering How Greeks Computed in 100 B.C." The New York Times. ^ Wright, M T. (2005). "Epicyclic Gearing and the Antikythera Mechanism, part 2". Antiquarian Horology. 29 (1 (September 2005)): 54–60. ^ Britannica on Greek civilization in the 5th century Military technology Quote: "The 7th century, by contrast, had witnessed rapid innovations, such as the introduction of the hoplite and the trireme, which still were the basic instruments of war in the 5th." and "But it was the development of artillery that opened an epoch, and this invention did not predate the 4th century. It was first heard of in the context of Sicilian warfare against Carthage in the time of Dionysius I of Syracuse." ^ a b c d Musson; Robinso (1969). Science and Technology in the Industrial Revolution. University of Toronto Press. ^ a b Rosen, William (2012). The Most Powerful Idea in the World: A Story of Steam, Industry and Invention. University Of Chicago Press. ISBN 978-0226726342. ^ Jenkins, Rhys (1936). 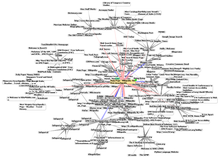 Links in the History of Engineering and Technology from Tudor Times. Ayer Publishing. p. 66. ISBN 978-0-8369-2167-0. ^ Tylecote, R.F. (1992). A History of Metallurgy, Second Edition. London: Maney Publishing, for the Institute of Materials. ISBN 978-0901462886. ^ Hunter, Louis C. (1985). A History of Industrial Power in the United States, 1730–1930, Vol. 2: Steam Power. Charlottesville: University Press of Virginia. ^ Williams, Trevor I. (1982). A Short History of Twentieth Century Technology. US: Oxford University Press. p. 3. ISBN 978-0198581598. ^ Van Every, Kermit E. (1986). "Aeronautical engineering". Encyclopedia Americana. 1. Grolier Incorporated. p. 226. ^ Indu Ramchandani (2000). Student's Britannica India,7vol.Set. Popular Prakashan. p. 146. ISBN 978-0-85229-761-2. Retrieved 23 March 2013. BRANCHES There are traditionally four primary engineering disciplines: civil, mechanical, electrical and chemical. ^ "What is Civil Engineering". Institution of Civil Engineers. Retrieved 15 May 2017. ^ Watson, J. Garth. "Civil Engineering". Encyclopaedia Britannica. ^ Bensaude-Vincent, Bernadette (March 2001). "The construction of a discipline: Materials science in the United States". Historical Studies in the Physical and Biological Sciences. 31 (2): 223–48. doi:10.1525/hsps.2001.31.2.223. ^ Vincenti, Walter G. (1993-02-01). 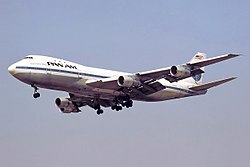 What Engineers Know and How They Know It: Analytical Studies from Aeronautical History. The Johns Hopkins University Press. ISBN 0-8018-4588-2. ^ Koen, Billy Vaughn (2013). Discussion of The Method (1 ed.). New York Oxford: Oxford University Press. p. 8. ISBN 978-0-19-515599-0. Retrieved 23 July 2015. ^ Arbe, Katrina (2001-05-07). "PDM: Not Just for the Big Boys Anymore". ThomasNet. Retrieved 2006-12-30. ^ Arbe, Katrina (2003-05-22). "The Latest Chapter in CAD Software Evaluation". ThomasNet. Retrieved 2006-12-30. ^ Jowitt, Paul W. (2006). "Engineering Civilisation from the Shadows" (PDF). Archived from the original (PDF) on 2006-10-06. ^ "engineeringuk.com/About_us". Archived from the original on 2014-05-30. ^ Rosakis, Ares Chair, Division of Engineering and Applied Science. "Chair's Message, Caltech". Archived from the original on 4 November 2011. Retrieved 15 October 2011. ^ Ryschkewitsch, M.G. NASA Chief Engineer. "Improving the capability to Engineer Complex Systems – Broadening the Conversation on the Art and Science of Systems Engineering" (PDF). p. 8 of 21. Retrieved 15 October 2011. ^ Vincenti, Walter G. (1993). What Engineers Know and How They Know It: Analytical Studies from Aeronautical History. Johns Hopkins University Press. ISBN 978-0-8018-3974-0. ^ "Relationship between physics and electrical engineering". Journal of the A.I.E.E. 46 (2): 107–108. 1927. doi:10.1109/JAIEE.1927.6534988. ^ Puttaswamaiah. Future Of Economic Science. Oxford and IBH Publishing, 2008, p. 208. ^ R Gazzinelli, R L Moreira, W N Rodrigues. Physics and Industrial Development: Bridging the Gap. World Scientific, 1997, p. 110. ^ "Industrial Physicists: Primarily specialising in Engineering" (PDF). American Institute for Physics. October 2016. ^ Classical and Computational Solid Mechanics, YC Fung and P. Tong. World Scientific. 2001. ^ IEEE technical paper: Foreign parts (electronic body implants).by Evans-Pughe, C. quote from summary: Feeling threatened by cyborgs? Dorf, Richard, ed. (2005). The Engineering Handbook (2 ed.). Boca Raton: CRC. ISBN 978-0-8493-1586-2. Billington, David P. (1996-06-05). The Innovators: The Engineering Pioneers Who Made America Modern. Wiley; New Ed edition. ISBN 978-0-471-14026-9. Madhavan, Guru (2015). Applied Minds: How Engineers Think. W.W. Norton. Petroski, Henry (1992-03-31). To Engineer is Human: The Role of Failure in Successful Design. Vintage. ISBN 978-0-679-73416-1. Lord, Charles R. (2000-08-15). Guide to Information Sources in Engineering. Libraries Unlimited. doi:10.1336/1563086999. ISBN 978-1-56308-699-1. Vincenti, Walter G. (1993-02-01). What Engineers Know and How They Know It: Analytical Studies from Aeronautical History. The Johns Hopkins University Press. ISBN 978-0-8018-4588-8.